If you avoid dairy, for medical reasons or personal ones, you no longer have to avoid Perry's Ice Cream. The Akron company has rolled out a line of oat milk-based "frozen desserts," made with oat milk from Elmhurst 1925 in Elma. 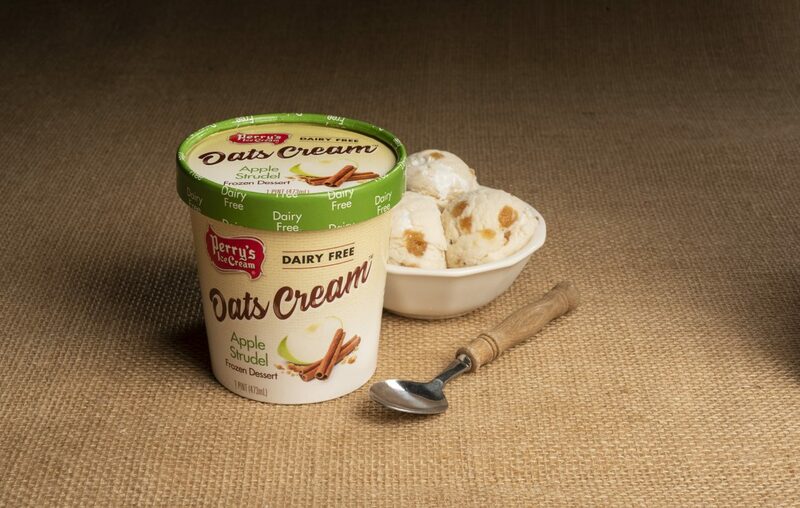 The Oats Cream line comes in pint-size packages and seven flavors: Apple Strudel, Blueberry Pancake, Coconut Caramel, Oat Latte, Peanut Butter Coffee Cake, Peanut Butter & Cookies and Snickerdoodle. Each flavor is vegan and lactose-free. Robert Denning, Perry's president and CEO, said it developed the line in response to consumer demand. It's available at Wegmans, Tops Markets, Lexington Co-Op and online at ShopPerrys.com. Apple Strudel and Blueberry Pancake Oats Cream will be available at scoop shops. Elmhurst 1925 has seen rapid growth with its plant-based nut and grain milks since 2017, when the Schwartz family closed its Elmhurst Dairy cow farm and turned to plant products.